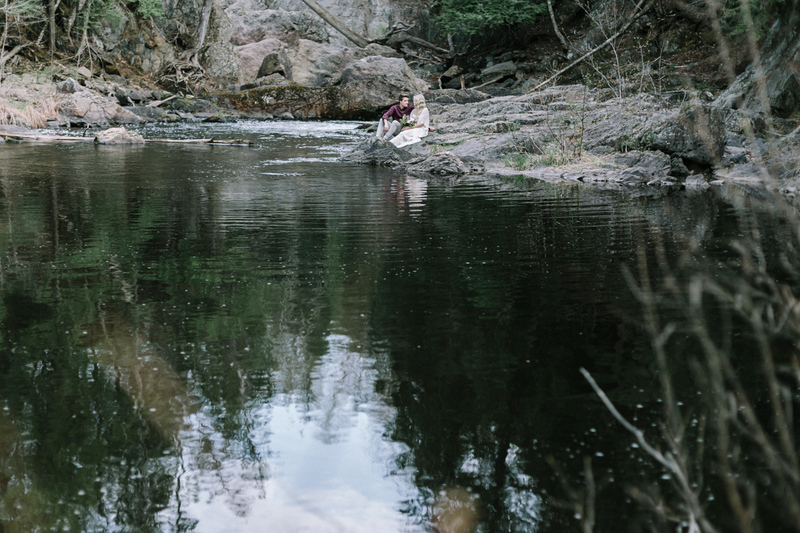 There’s something sacred about it. 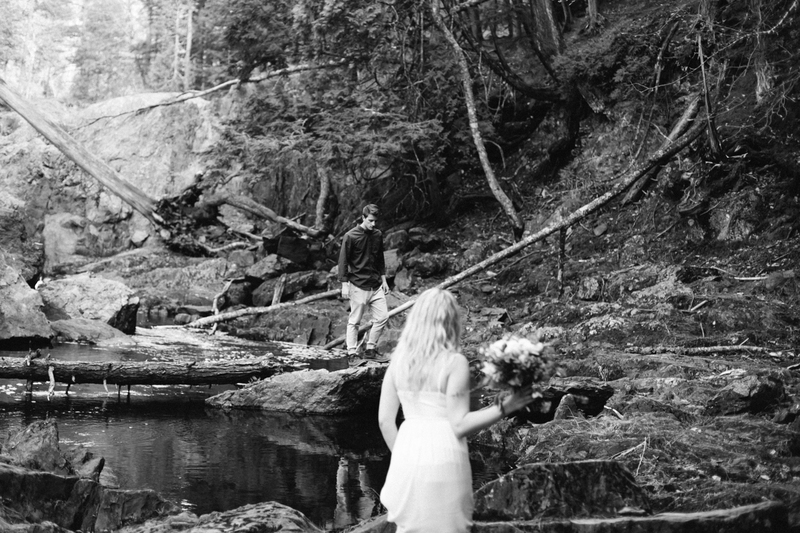 Water rushes below the steep wood as we breathe fresh pine, marveling at the sight. 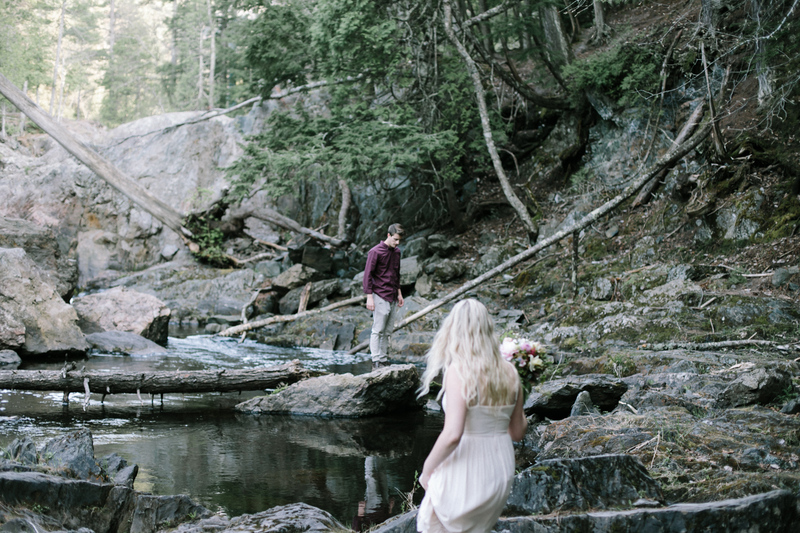 And then the realization dawns: it’s the moss. 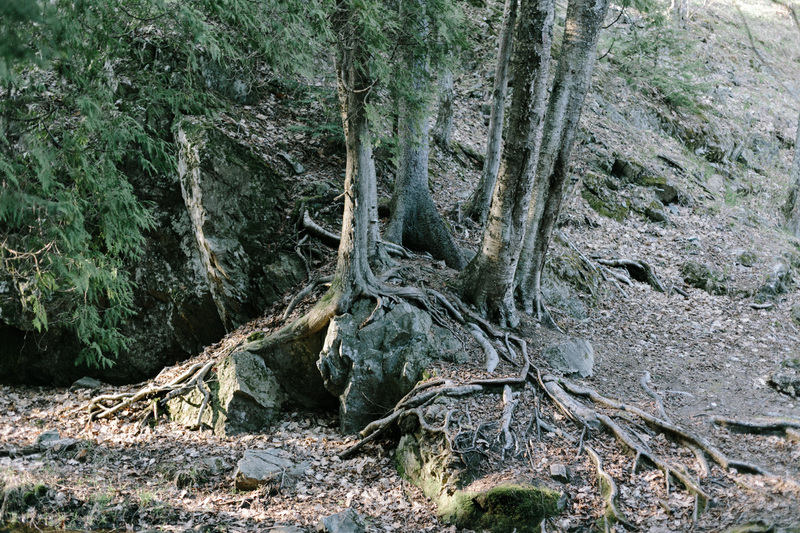 It thrives freely along with lichens, haphazardly covering tall age-old rocks and fallen trees in luminous green. 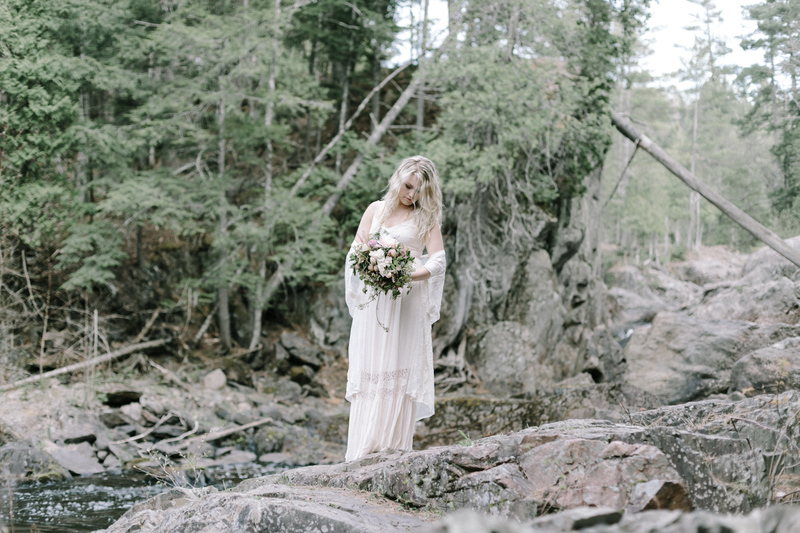 Reminiscent of the passage of time and the glaciers that carved this space from the Earth millennia ago, it teems with the stories of a sanctuary untouched. 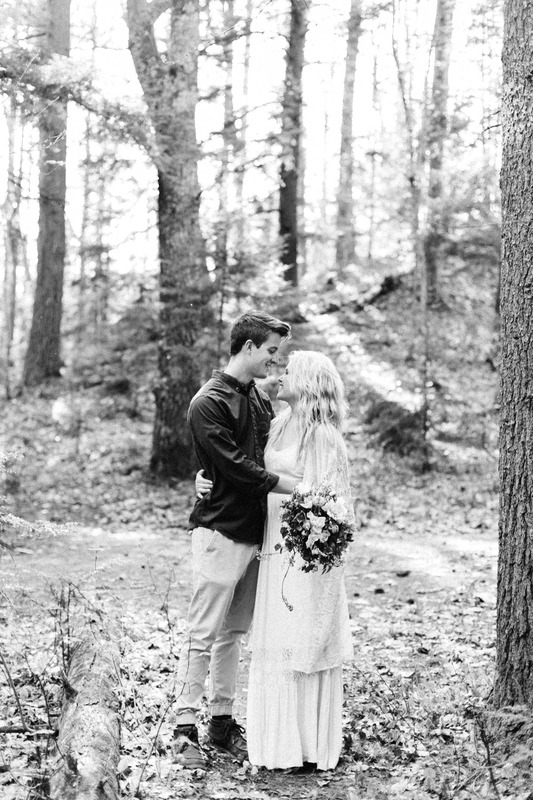 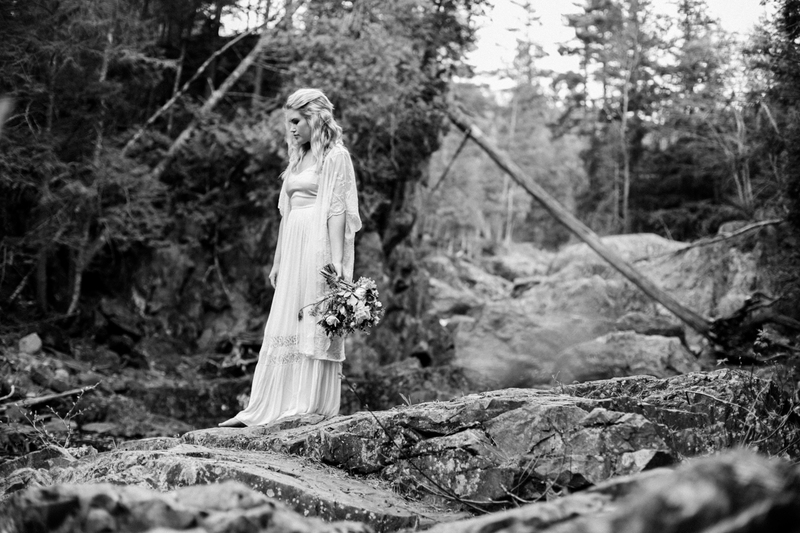 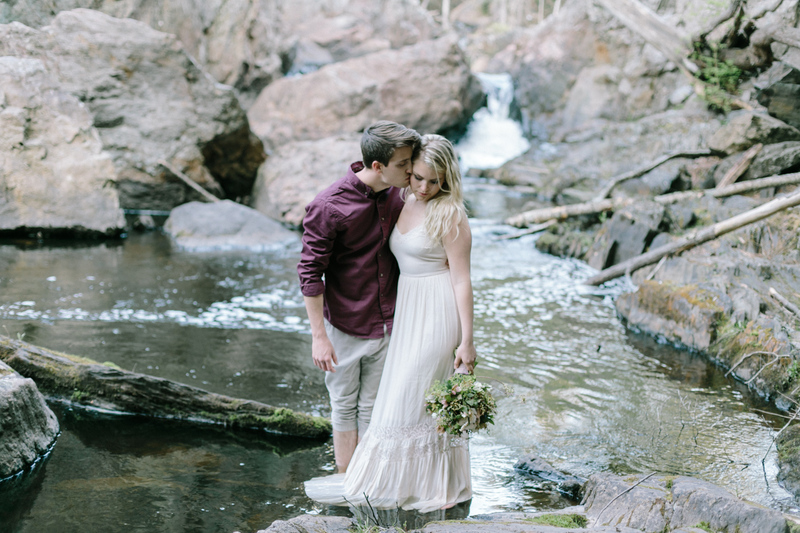 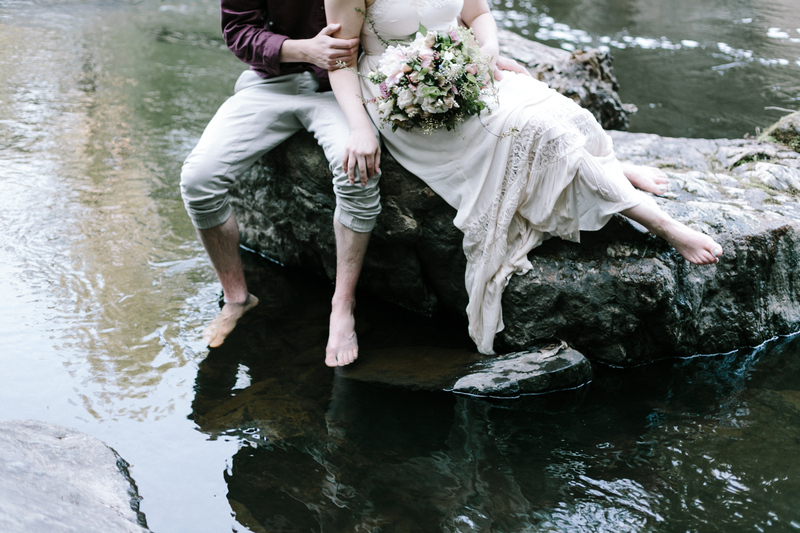 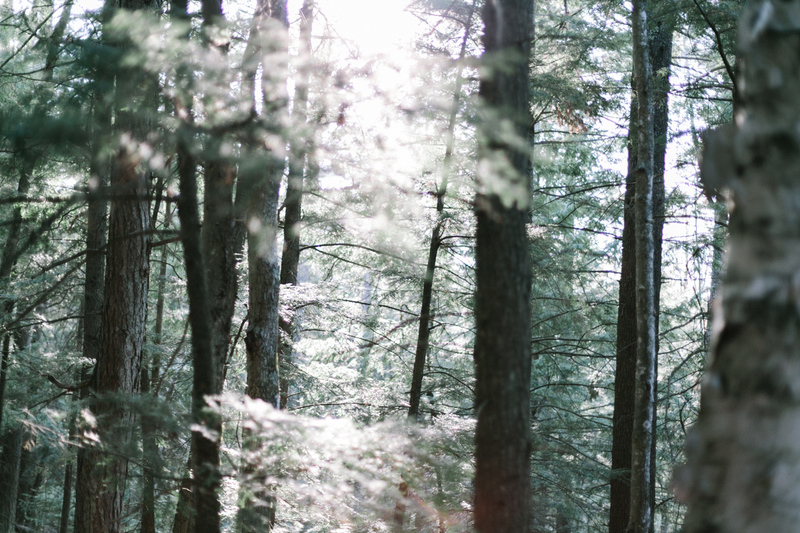 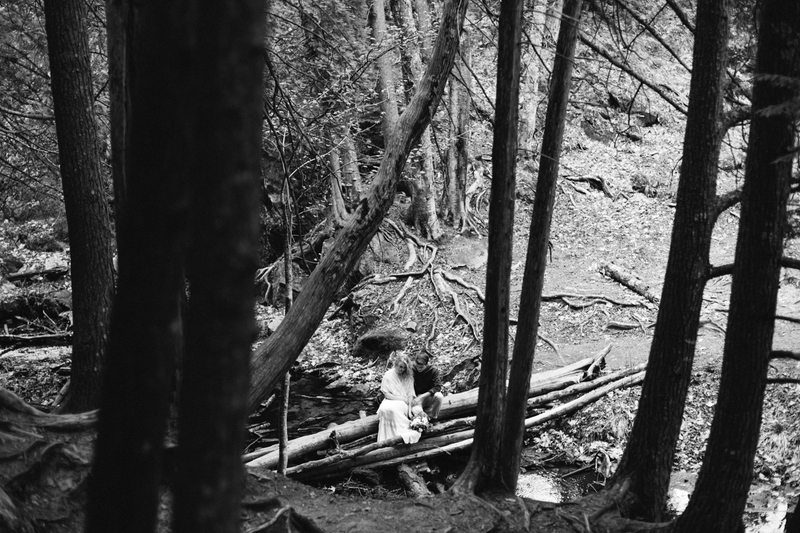 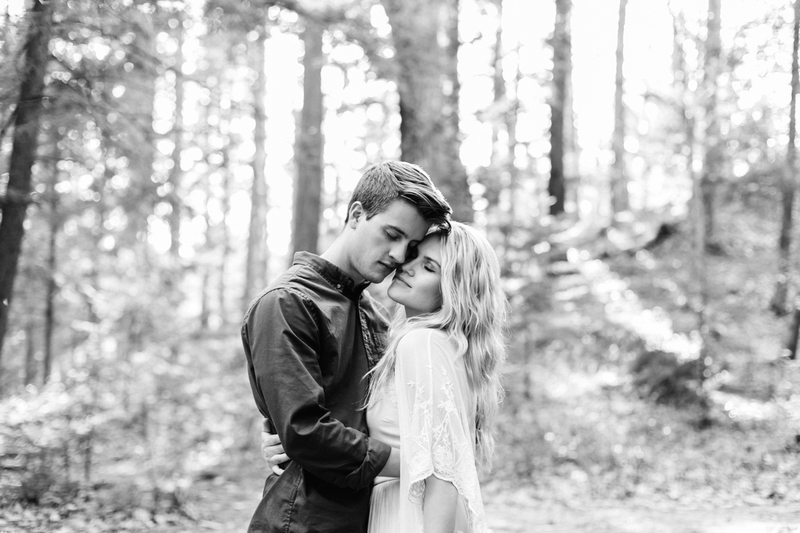 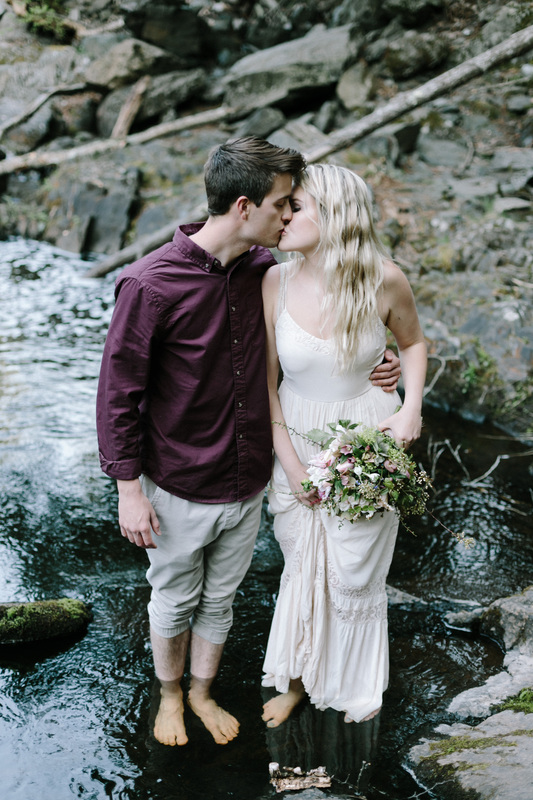 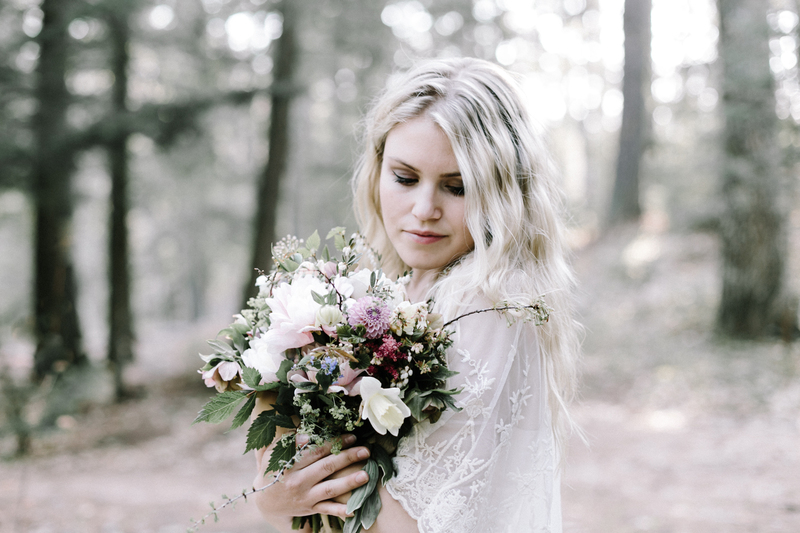 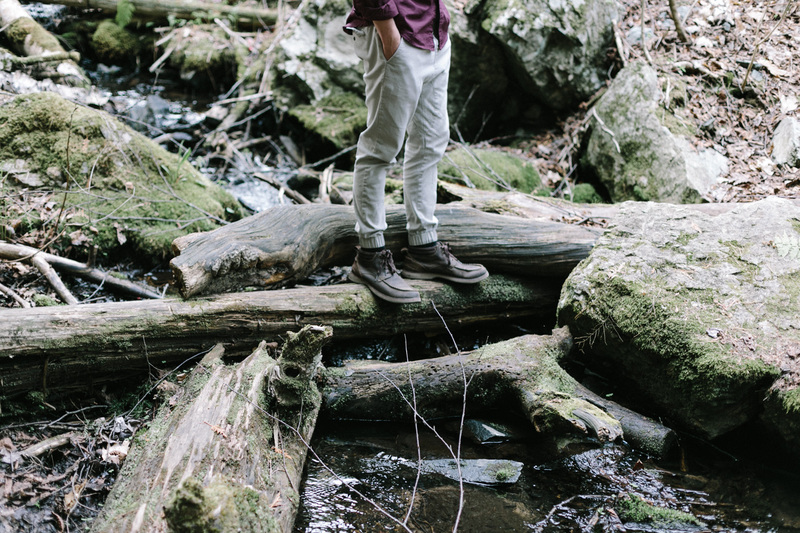 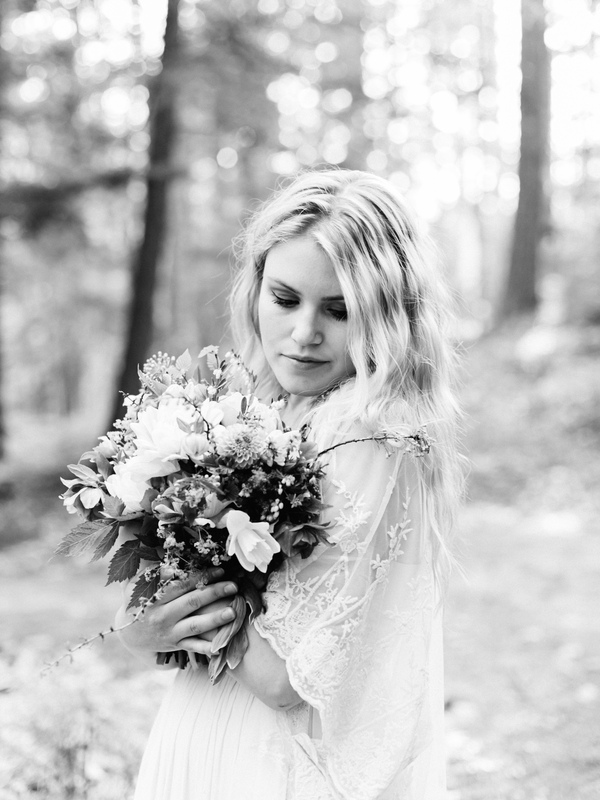 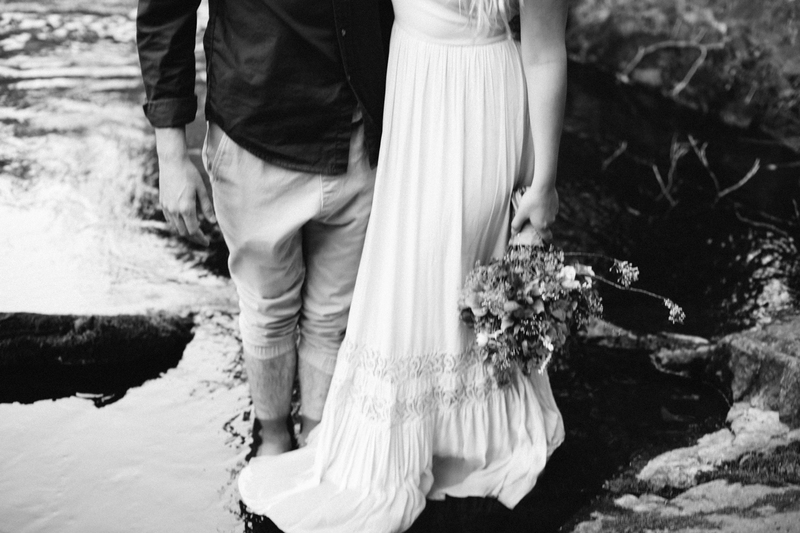 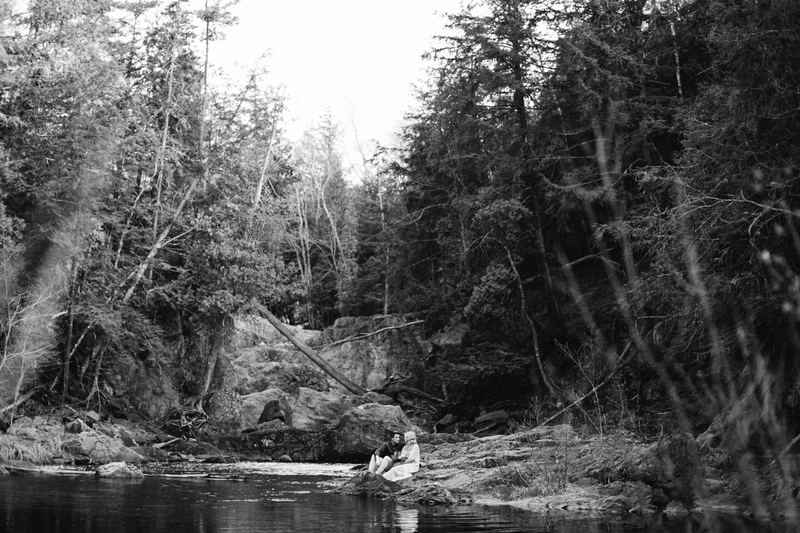 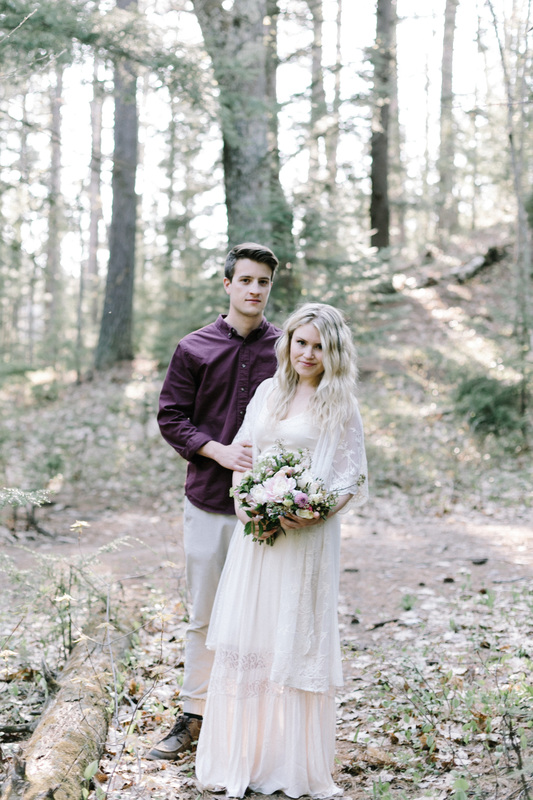 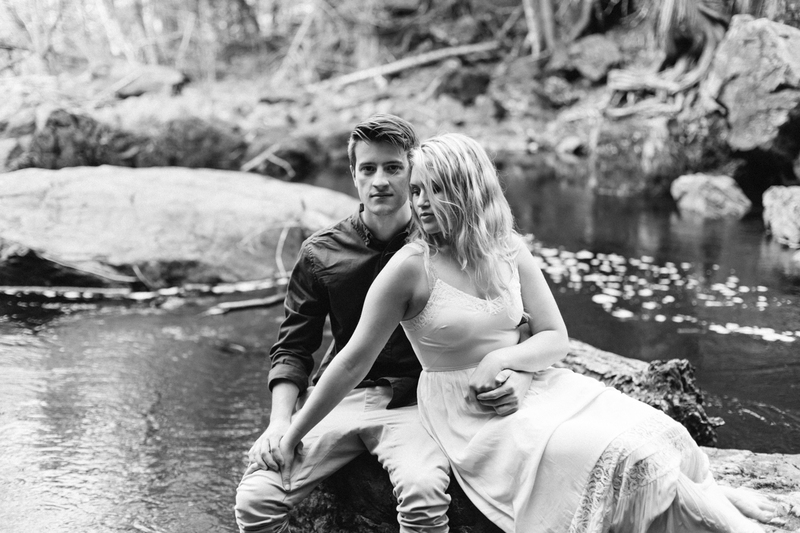 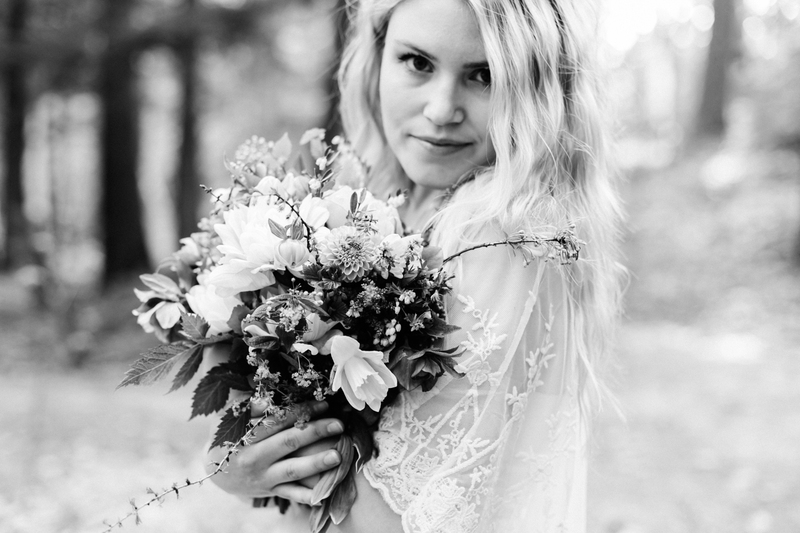 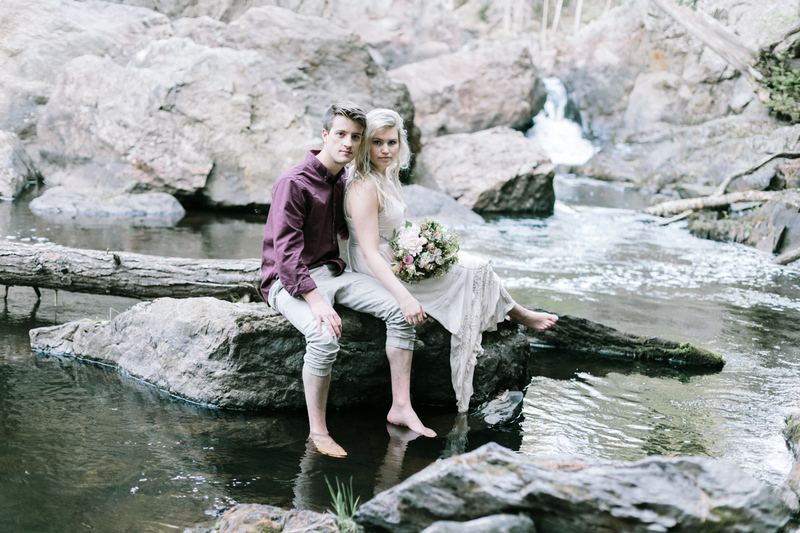 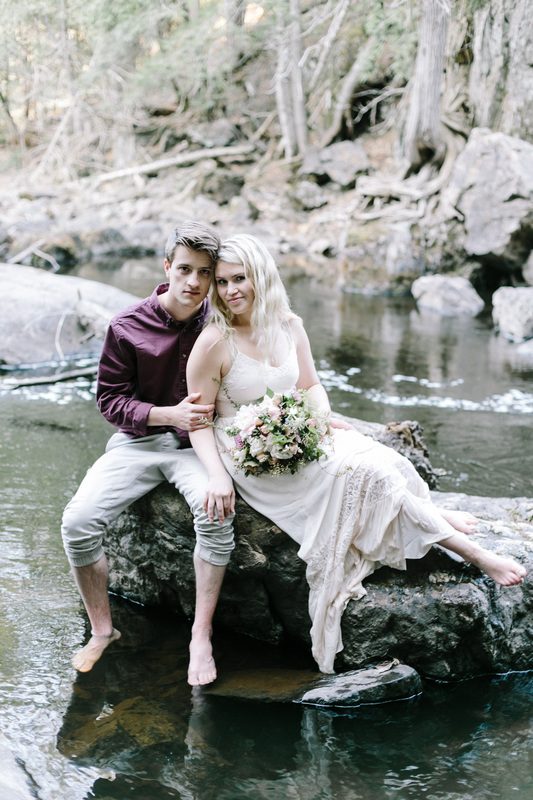 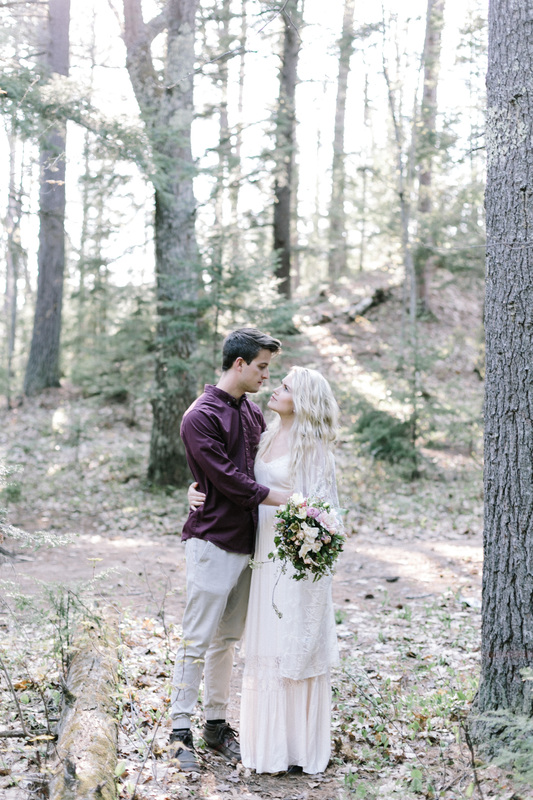 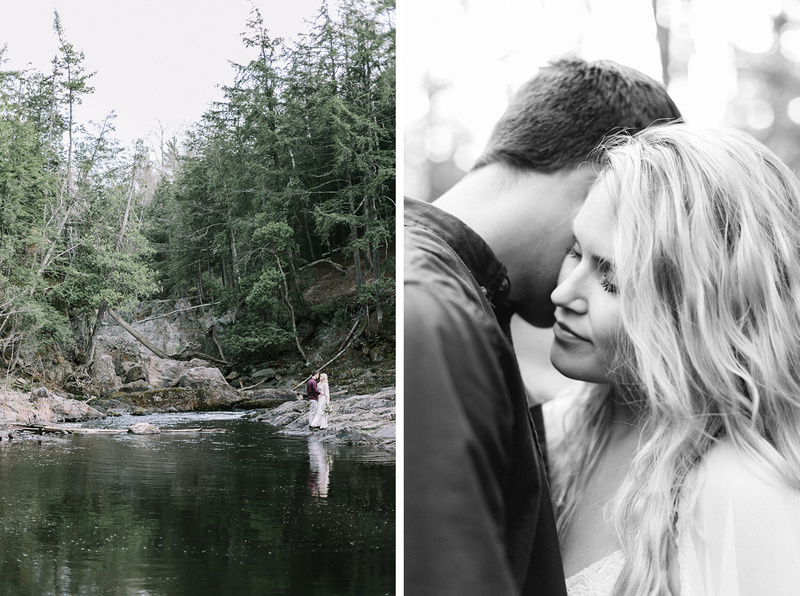 Cam and Lindsay found this haven on one of their hikes up north in Marquette, and they wanted a little getaway in the weeks just before their wedding (this is genius.) 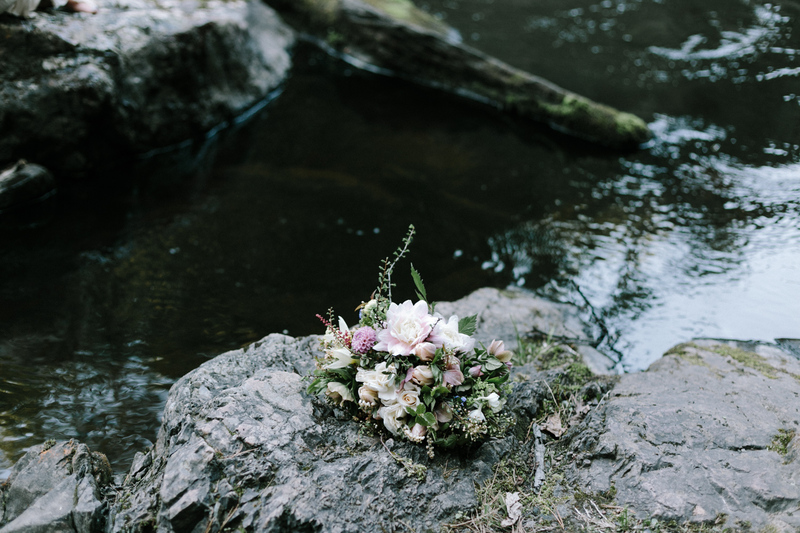 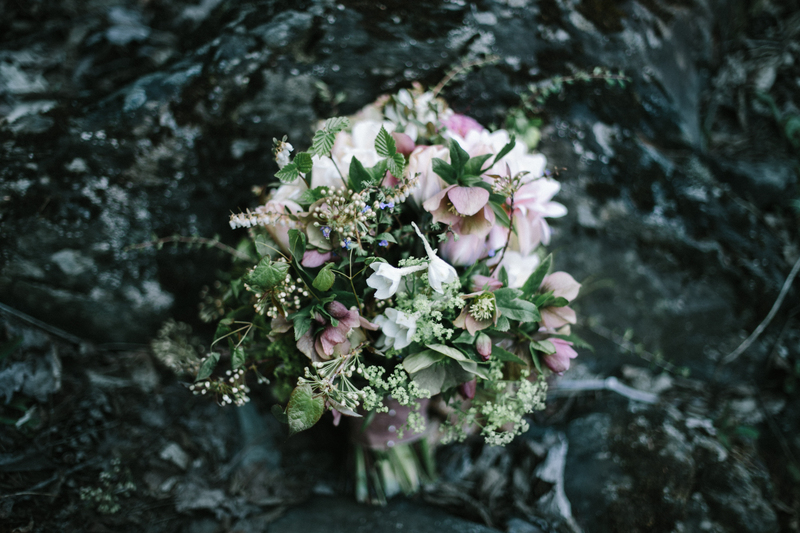 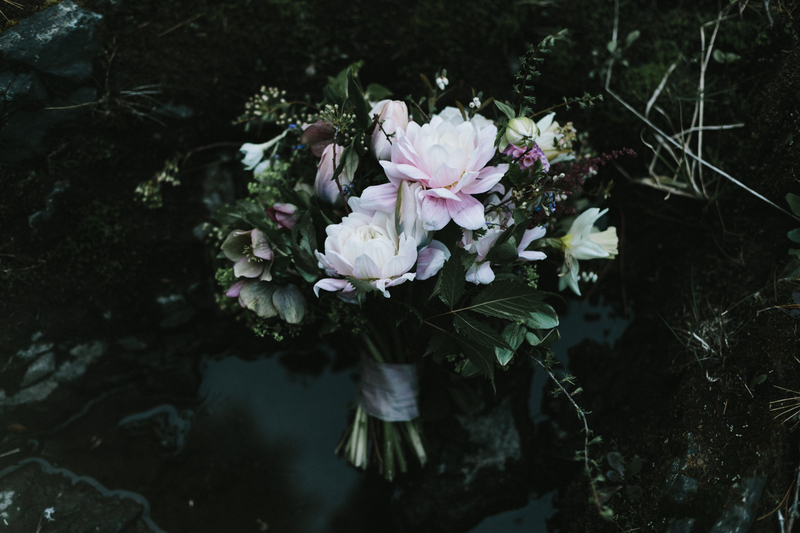 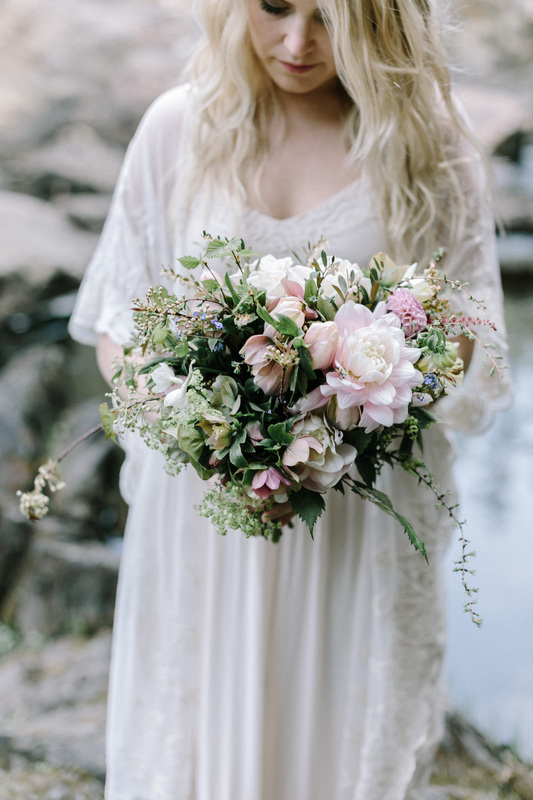 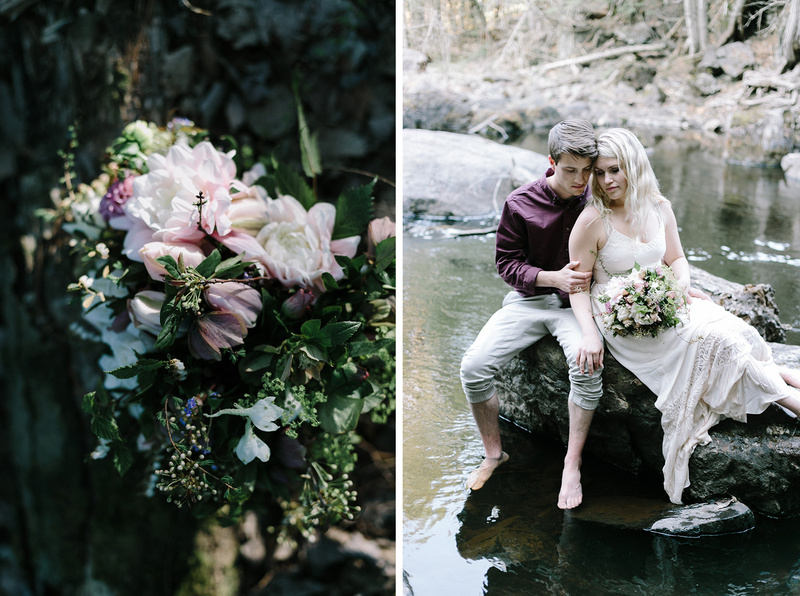 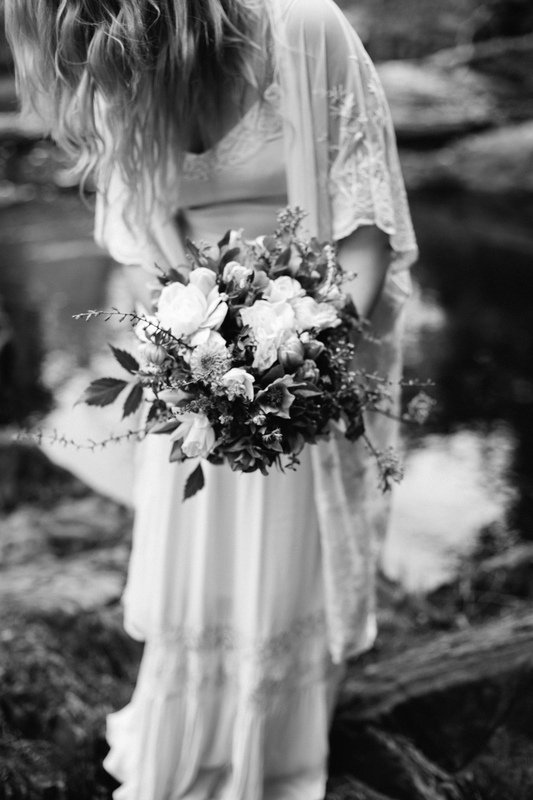 We had a local farmer-florist create a wild bouquet with foraged Michigan flora: hellebores, blueberry, forget-me-not. 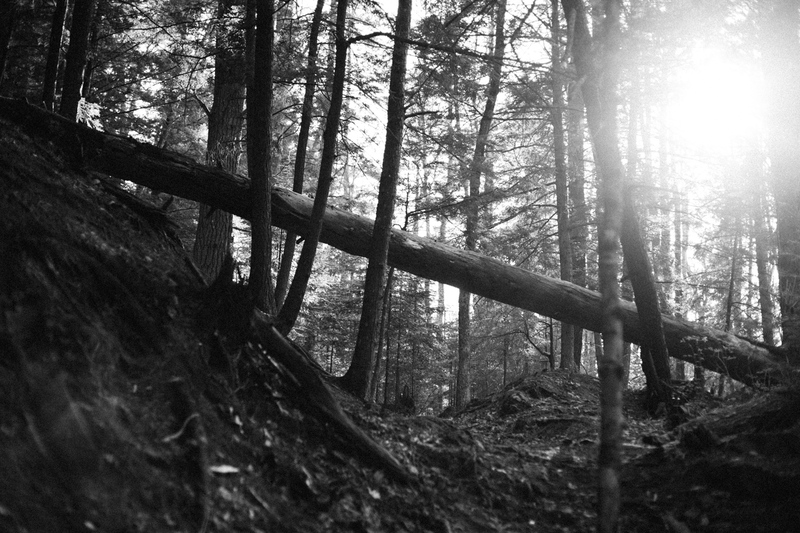 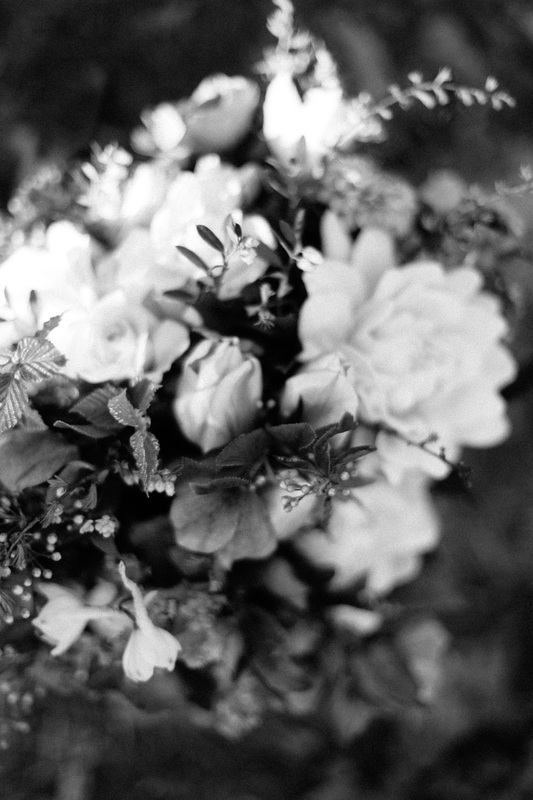 The photos embrace light and dark & all the complexity in nature, much like we embrace those things in the one we love.